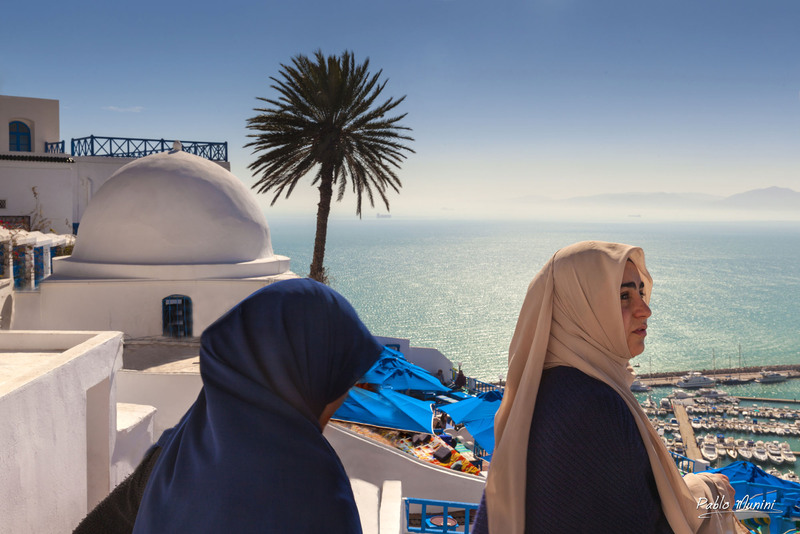 Sidi Bou Said - Pablo Munini Photography .Tunisian mediterranean sea. 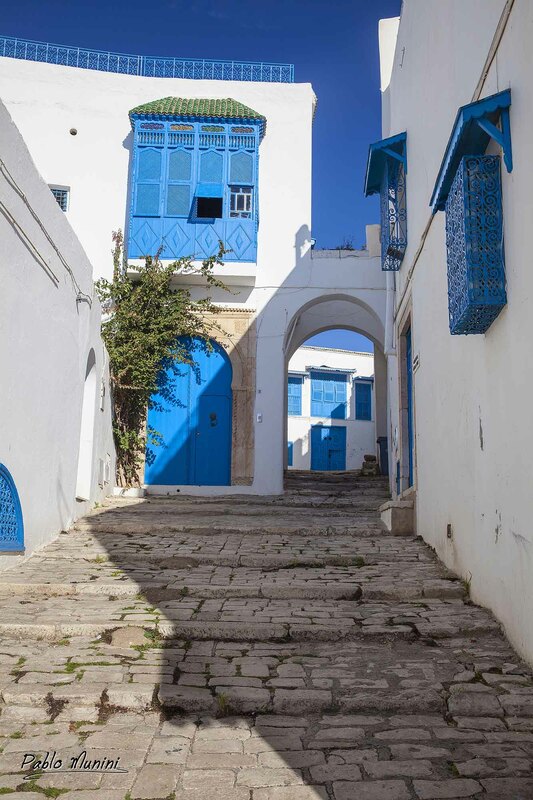 Images of Sidi Bou Said , the blue and white village in Tunisia. Sidi Bou Said.White blue village.mediterranean sea Tunisia. On April 1914 painters Paul Klee , August Macke and Luois Moilliet sailed from Marseilles for Tunis equipped with watercolors , brushes, pens, pencils, sketchpads and notebooks. 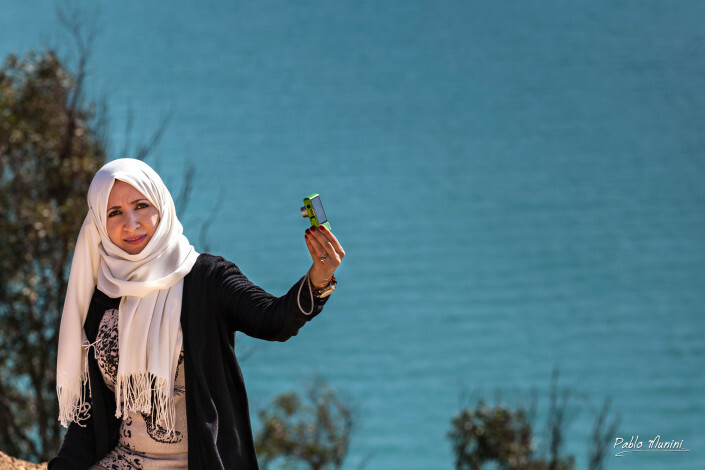 The three set out on what they described as a “ Study Trip “ around Tunisia. It was an experience that was to leave and indelible mark on the artistic production of each of the young painters and ultimately on 2oth century European art itself. 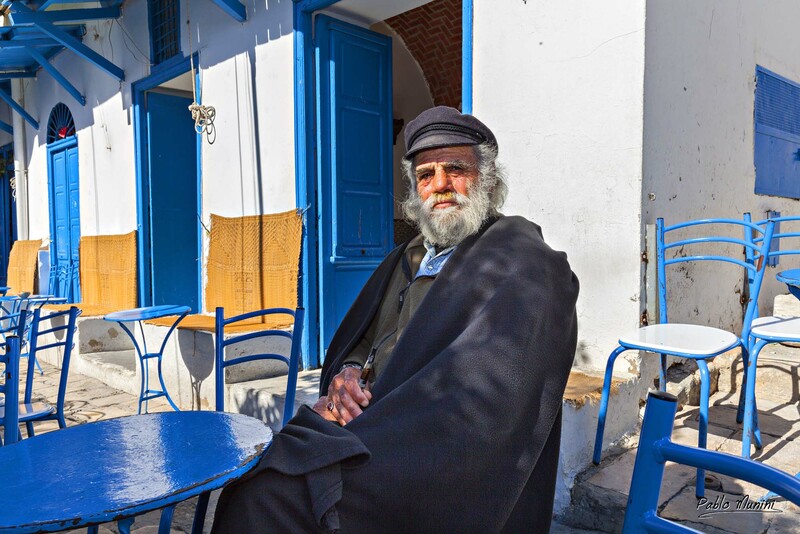 Sidi Bou Said, a cliff-top village northeast of Tunis, was then as now a place of extraordinary charm. “Sidi Bou Said,” wrote Klee, “the town that we first saw from the ship. Drove all the way up…. The town lies so beautifully up there and looks far over the sea…. Stopped by a garden gate and began a watercolor sketch”. 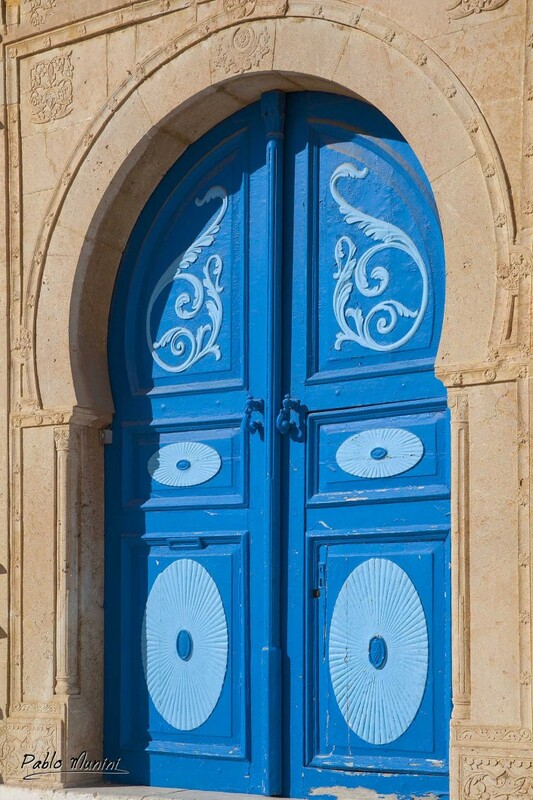 Originally a place of pilgrimage for visitors to the tomb of the 13th-century Sufi holy man from whom it takes its name, Tunisia’s celebrated blue-and-white village is so enchantingly pretty that it can sometimes seem more painted than real. 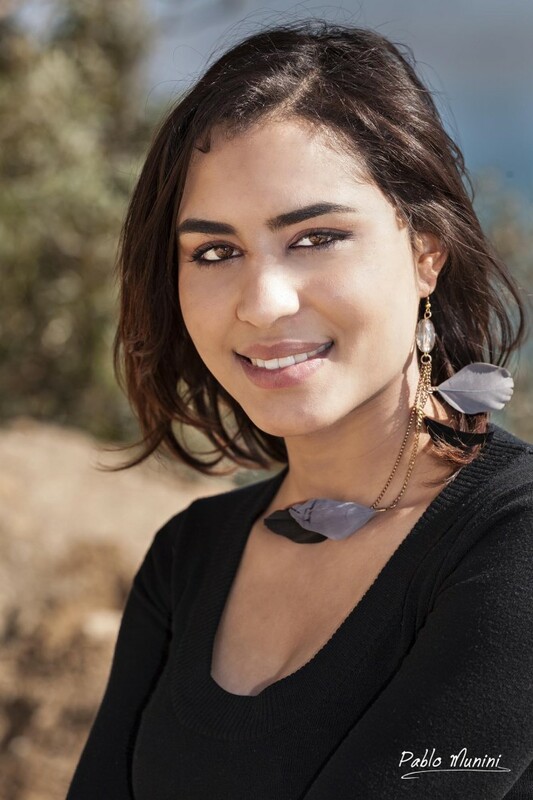 Seen from a distance, it shimmers under the fierce Mediterranean sun like a giant mosaic. Seen from within, it’s a labyrinth of winding streets and secret places, where crooked flights of steps lead to hidden gardens and wooden gates opening onto flower-filled courtyards.